What A Day That Was, as the Scottish-born Talking Head David Byrne would say. 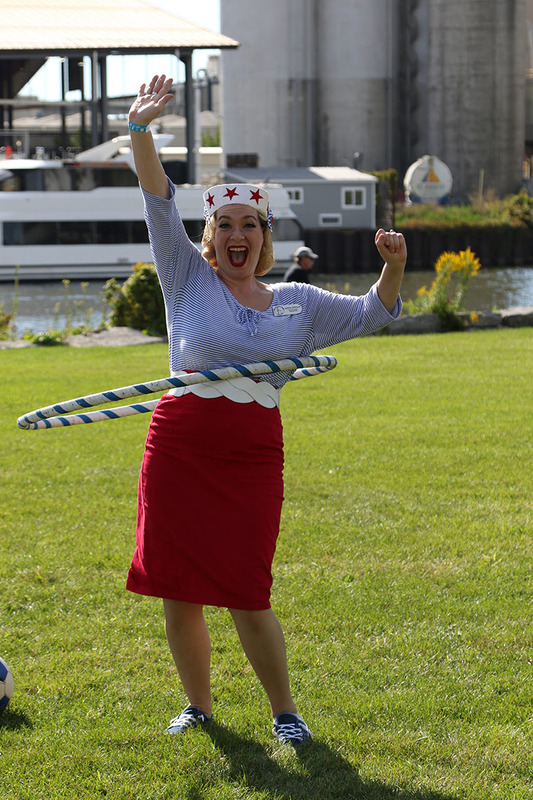 Saturday, Sept. 15, was a blazing return to summer at River Fest Park on the Buffalo River. 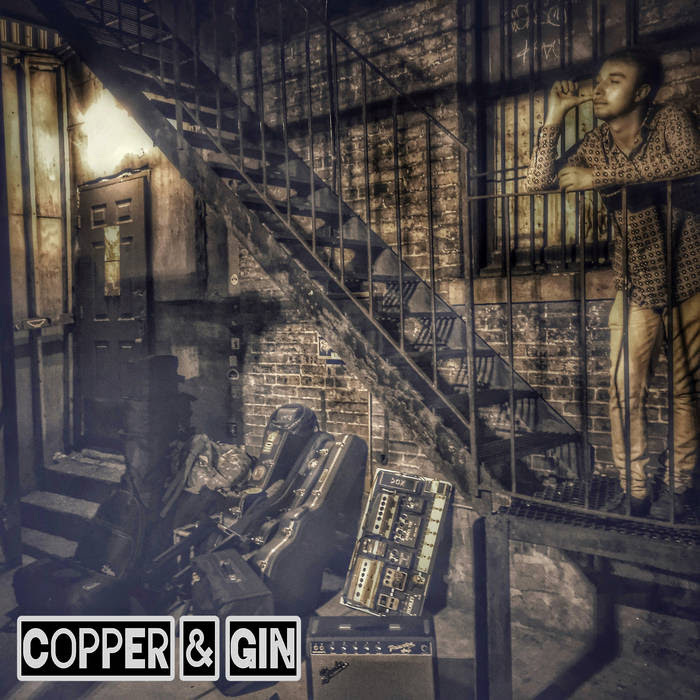 Brilliant sets from The Brothers Blue, Copper & Gin, Tom Stahl & the Dangerfields, Critt’s Juke Joint, the Steam Donkeys and McCarthyizm. Many hundreds of SAMF members, families and music fans. Beer, food, vendors, big boats going down the river. Thanks to our sponsors: Blue Cross Blue Shield of WNY, Ellicott Small Animal Hospital, Congressman Brian Higgins, Labatt’s Beer, the Kensingtons, Riverside Federal Credit Union, Life Storage, Sen. Tim Kennedy. We could not present any of our events without the tremendous help we get from our volunteers. I want to thank them; this is not me just being polite and getting this out of the way. The entire Board of Directors and I really appreciate all that they do for this organization. Board member Bernie Walsh ran the volunteer operation and worked hard all day. Sue Jaworski and Patty Niemiec helped her out as volunteer coordinators. Board member Patrick Gormley also spent the entire day working to make sure everything went well. Jason Hall worked from early morning until well into the night. Tim Franczyk, John Venezia, Elmer Ploetz, Jeff Griffin all did their part as Board members. Jae Daniel did an outstanding job with sound all day, and Paul Panzarella took many great photographs; several you see here, there will be more on Facebook, and many more on our website soon. Also doing great work were volunteers Rose McLennan, Nick Whitman and Christine Whitman, Dale Metzger, Leslie Gordon, Maggie Roach, Susan Canna, Judy Burnett Christian, Steve Gross, Mary Sullivan, Mari Kosobucki, Ron Kosobucki, Mark Sydor, Cookie Ling, Mary Roach, Ann Chown, Norm and Thuy Murray, Pam Premo, Jane Lenhardt, Ted Chown, Glen Armstrong, Dwane Hall, Jane Roach, Dan Ganoe Jr, Dan Ganoe Sr, Michelle Speech, Tony Westenfield, Christine Westenfield, Ian and Chrissie McLennan, Robyn Ventura, Dan Dudziak, Jackie Armstrong, Karen Dickenson, Angela Hastings, Sheila Fitzpatrick, Donna Ganoe, Tina Ganoe … and The Pin Up Girls. This event is our primary fundraiser of the year. If we didn’t have the support from our corporate sponsors, members and volunteers, we would not be able to do all the things we’ve been doing with education and the many events we present throughout the year. A few days after you receive this, on Monday, Oct.15, we’ll conduct our Annual Award Night at the Tavern. If you can still get a ticket, I suggest you do so in advance. 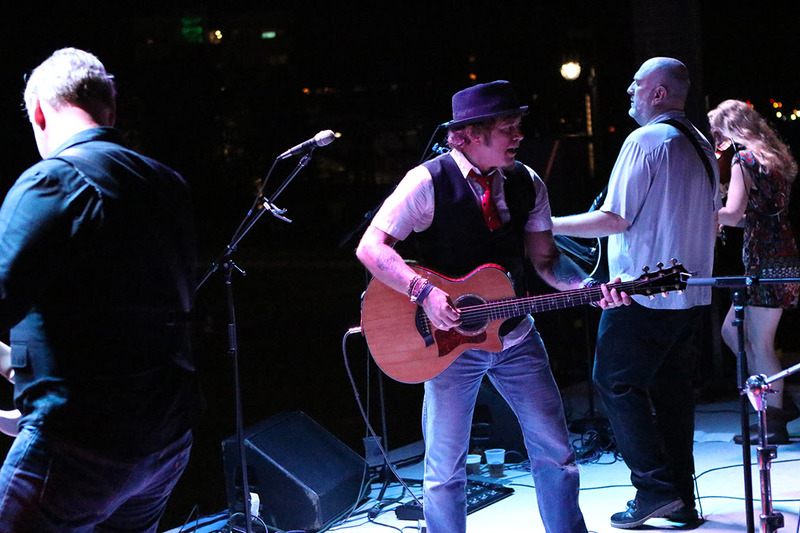 It’s going to be a great show with last year’s Band of the Year, Ten Cent Howl, anchoring the evening. Joining them as guest stars will be the 2018 nominees. We’ll present awards for Band, Male and Female Singer, Jim Lauderdale Songwriter, Member and the Bill Kirchen Pioneer Award. Photos and a review will appear in next month’s JAM and, as always, follow us on the SAMF Facebook page. 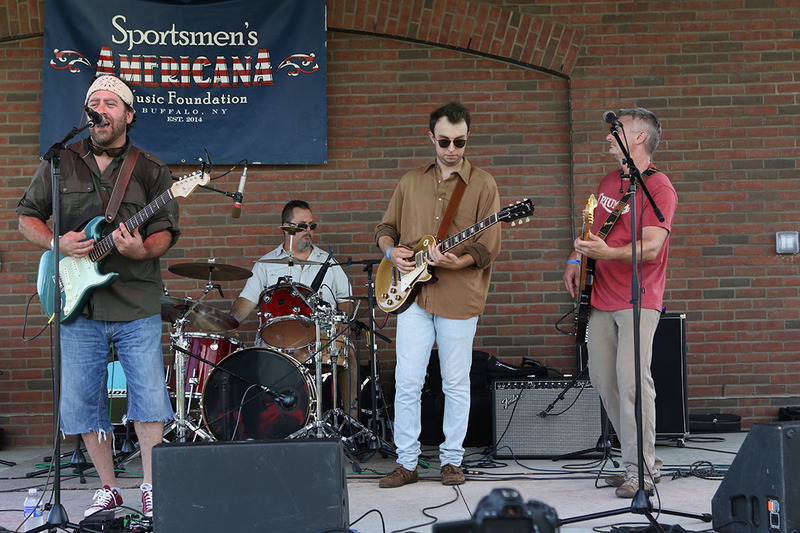 Sept. 21 and 22 featured the initial Borderland Fest at Knox Farm State Park in East Aurora. 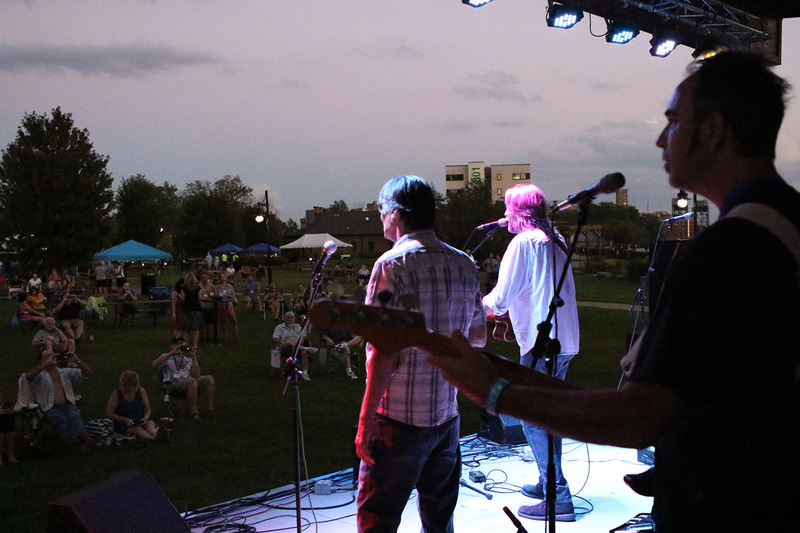 There were many national acts at the Fest, along with some of our local favorites and several thousand people each day. It was really a great festival in a beautiful setting. Leroy Townes and Miller and Other Sinners played on the main stage. 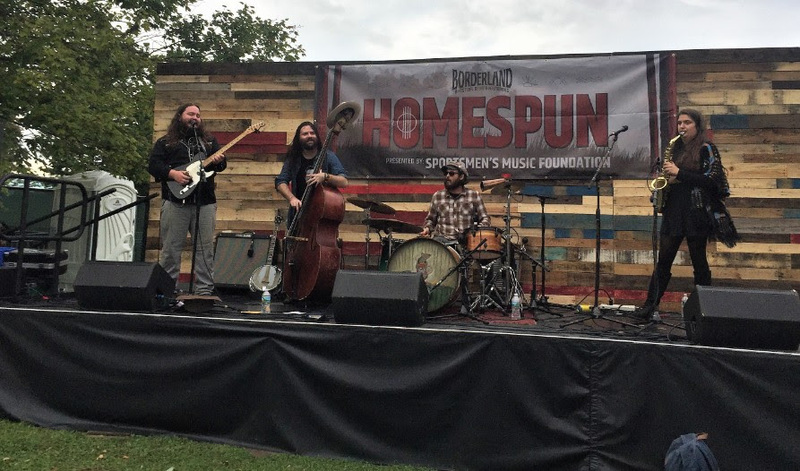 The Sportsmen’s Americana Music Foundation stage hosted Ten Cent Howl, Folkfaces, The Observers, Pine Fever and PA Line. 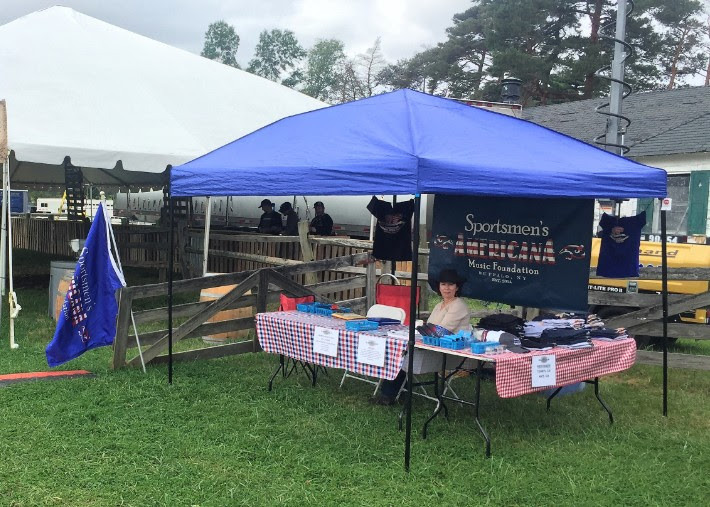 The SAM Foundation had a tent set up to share information about what we do and sold a few memberships and some merchandise. We look forward to a further collaboration with Borderland next year. Rose McLennan works the SAMF tent at Borderlands. Folkfaces rock the Homespun Stage. Ten Cent Howl rolls through its set. 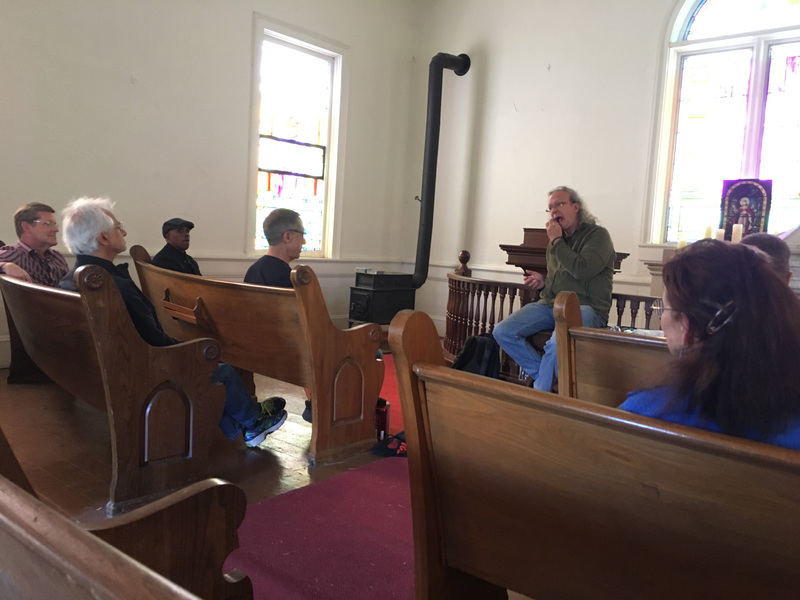 Our first joint event at BNHV was held on Sept. 29 at the former Amherst Museum on Tonawanda Creek Road and New Road in northern Erie County. 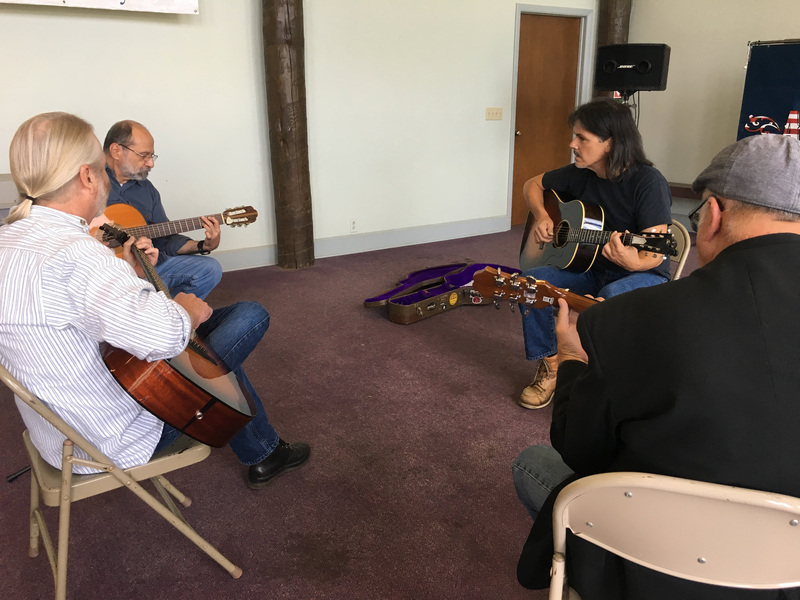 The SAM Foundation sponsored BNHV bringing in nationally recognized musicians Frank Fotusky (guitarist) and Grant Dermody (harmonica ) to WNY for workshops and a concert. Guitarist Frank Fotusky (second from right) shows how to do it. Going on at the same time was a Civil War encampment of the Grand Army of the Republic and a horseshoes tournament. This is a big site with many acres and buildings that have great potential for us to expand our message and bring in new members from northern Erie and Niagara counties. Watch for more information. A wide variety of live music is up for grabs this month. You’re not going to win any free tickets if you don’t enter the contest … so check the directions for how to enter at the bottom of this note! 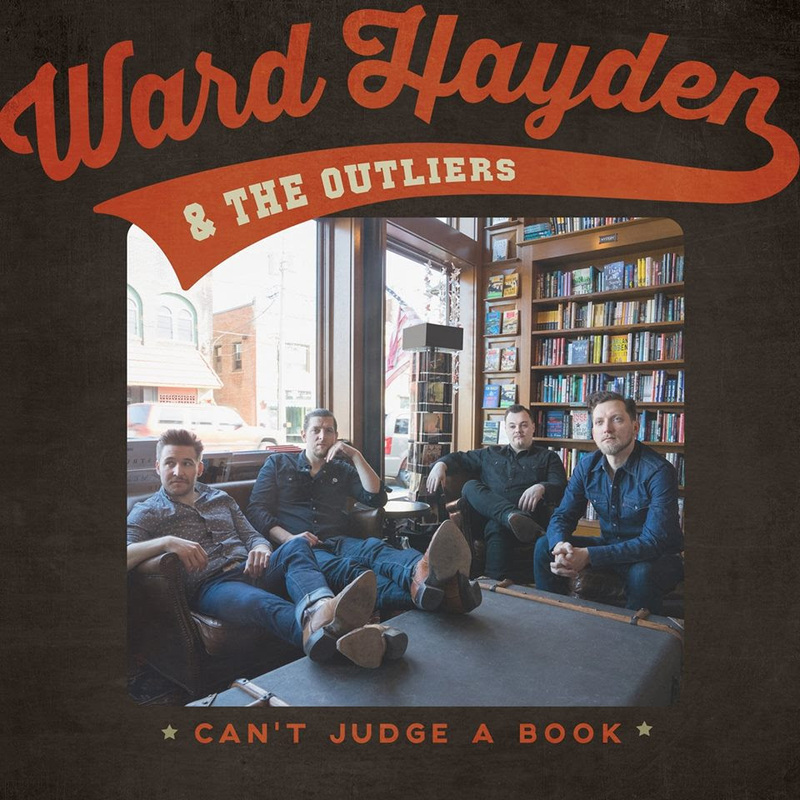 Ward Hayden & The Outliers (formerly Girls, Guns and Glory) on 11/17. 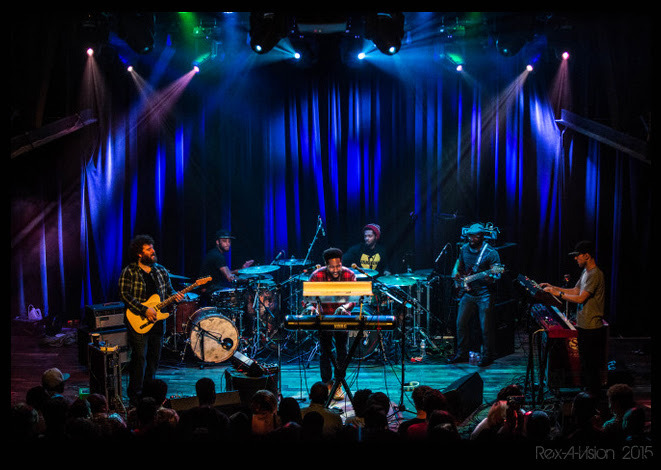 Corey Henry & the Funk Apostles on 10/31. 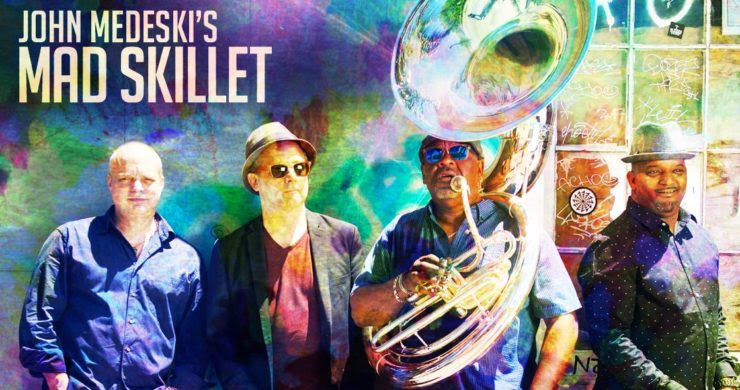 John Medeski’s Mad Skillet on 11/11. 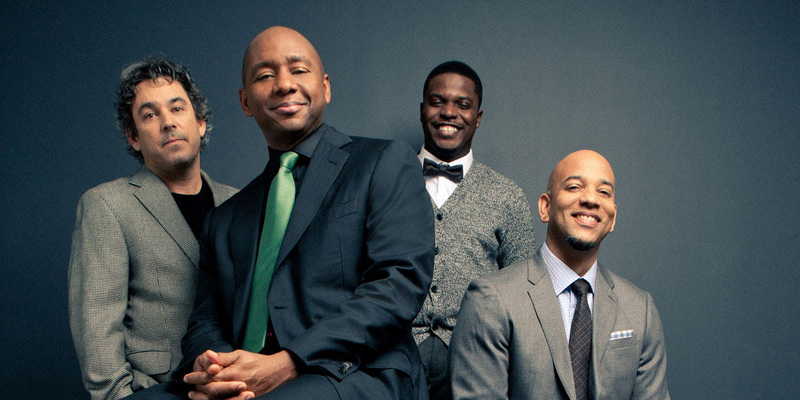 Branford Marsalis Quartet on 10/24. Email me to win a free pair of tickets. Tell me which show(s) you’d like to put in for. The deadline is Friday, Oct. 19, at 9 p.m. The Sportsmens Americana Foundation is proud to be a major sponsor of Jazz Impressions: 1968, celebrating the 50th anniversary of a seminal year in music and culture. 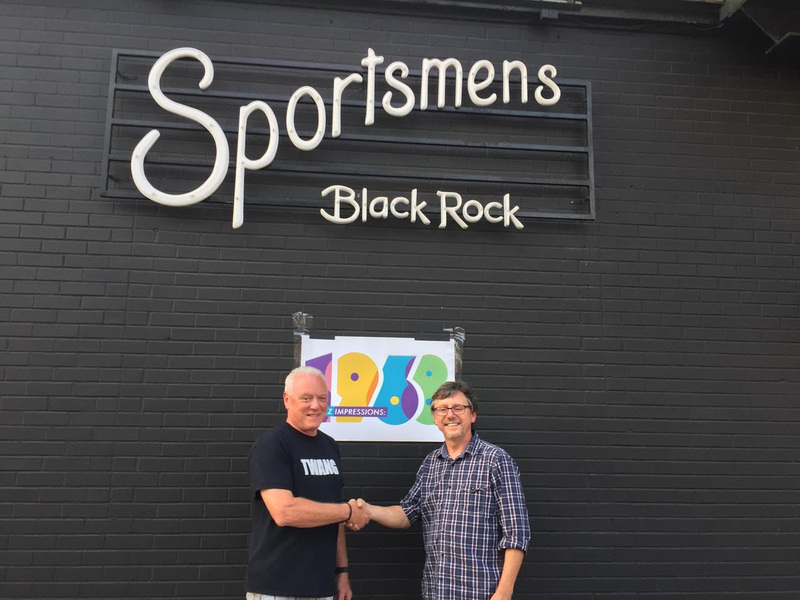 On Sept. 18, Sportsmens Americana Music Foundation founder Dwane Hall and SAMF President Robert McLennan presented a $3,000 award and helped announce the creation of a new annual region-wide jazz initiative. “Jazz Impressions: 1968,” curated by percussionist and music educator John Bacon, is the first series of events. During October and November of 2018, a group of Buffalo area musicians and writers will collaborate on a series of concerts reflecting on the musical, social, political, historical and artistic aspects of one of the most tumultuous years in American History. Musical and literary artists will look at 1968 through the words and music of the time and reflect on the influence and legacy that resulted from the immense creativity of that time. This project is part of an annual initiative that began in 2017 with a celebration of the 100th birth year of composer and pianist Thelonious Monk. Bacon, a composer and percussionist, is a member of some of the most prominent jazz groups in Western New York, including Star People, the Bobby Militello Quartet, the Buffalo Jazz Octet, the UB Faculty Jazz Quartet and the Buffalo Jazz Composers Workshop. He is a music educator at UB, Villa Maria College and SUNY Fredonia. He has been honored as a composer through the New York State Foundation for the Arts (2013 Artist Fellow) and the New York State Council on the Arts (Individual Artist Composer Commission). Bringing together these various activities, Bacon has curated a series that asks musicians and literary artists to reflect on the impact of 1968 on the present. The artists’ exploration will attempt to answer questions to the current era of social and political turbulence. How have we honored the struggles and achievements of 1968? Has the promise of 1968 been fulfilled? What does the legacy of 1968 mean today? Can we find answers for our current difficulties in the efforts and achievements of 1968? A concert featuring performers from various participating groups in the Jazz Impressions: 1968 series. The performers will be featured in solo and small ensemble combinations for a uniquely spontaneous musical experience. Performers include Bobby Militello, saxophone; George Caldwell, piano; Tim Clarke, trumpet; Nelson Rivera, saxophone; Jared Tinkham, guitar; Phil Sims, trombone; John Hasselback, trombone; Lisa Hasselback, piano; Alex MacArthur, voice; John Bacon, percussion; and, David Landrey, poet. Thursday, Oct. 18, 7:30 p.m.
UB Faculty Jazz Quartet and guests play music of Herbie Hancock (“Speak Like A Child”) and McCoy Tyner (“Expansions”). The atypical instrumental combinations and a mix of inside-outside playing are contemporaneous features of both Herbie Hancock’s “Speak Like A Child” and McCoy Tyner’s “Expansions” from 1968. The UB Faculty Jazz Quartet (Bobby Militello, alto saxophone and flute; George Caldwell, piano; Sabu Adeyola, bass; John Bacon, drums) will be supplemented by Mark Filsinger, trumpet; John Hasselback Jr., trombone; and UB Music Department Chair Jonathan Golove, cello. Ed Cardoni, writer and executive director of Hallwalls Contemporary Art Center, will provide topical readings on the era. Piano Trio Plays Music of Bill Evans (“Live at Montreux”) and Chick Corea (“Now He Sings, Now He Sobs”). By 1968, the jazz piano trio format had reached an apex of diversity encompassing work by artists as varied as Wynton Kelly, Keith Jarrett, Oscar Peterson, Ahmad Jamal, Bill Evans and Chick Corea. Lisa Hasselback, piano; Bill Staebell, bass; and, John Bacon, drums will visit the music of Bill Evans, and Chick Corea and the lasting impact this music has had on the contemporary Jazz Piano Trio. The Buffalo Jazz Octet, an adventurously intriguing ensemble representing the stylistic depths of the Buffalo area jazz scene, has crafted arrangements of well-known pop songs of 1968. This music reimagines familiar songs to create a contemporary view of our pop legacy. Joining the ensemble will be Buffalo State College music historian Charles Mancuso and poet Michael Hopkins. Featuring Tim Clarke, trumpet; Kelly Bucheger, alto saxophone; Nelson Rivera, soprano and tenor saxophone; Steve Baczkowski, baritone saxophone and winds; Phil Sims, trombone; Michael McNeill, piano; Joe Goehle, bass; John Bacon, drums. Sunday Nov. 11, 2:30 p.m.
Star People is a group of stellar Buffalo jazz musicians that reimagines the music of Miles Davis. his concert highlights the gestation of jazz rock and the accumulation of energy toward its birth. 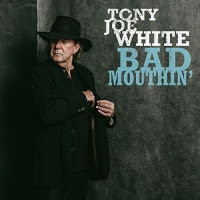 Musicians include Bobby Militello, alto saxophone and flute; Tim Clarke, trumpet; Andy Weinzler, tenor saxophone; George Caldwell, piano; Joe Goehle, bass; John Bacon, drums. Jeff Miers, Buffalo News music critic, offers social commentary through music criticism of the times. Constance Caldwell, actress, interprets brief selections from James Baldwin, Denise Levertov, William Shakespeare as it relates to 1968 and the present. Wednesday, Nov. 14, 8 p.m. The Buffalo Jazz Composers Workshop and Poetry Alliance Featuring new works for poetry and Jazz Ensemble. The Buffalo Jazz Composers Workshop is a collective organized by Kelly Bucheger. This concert will feature newly composed music and poems by writer David Landry’s Poetry Alliance. Featured will be Tim Clarke, trumpet; Kelly Bucheger, sax; Nelson Rivera, sax; Alec Dube, vibraharp; Jared Tinham, guitar; Joe Goehle, bass; John Bacon, drums; with David Landrey, poet. Jazz Impressions: 1968 – Celebration! Musicians, writers, audience and all collaborators in the Jazz Impressions: 1968 series to celebrate the act of creation! 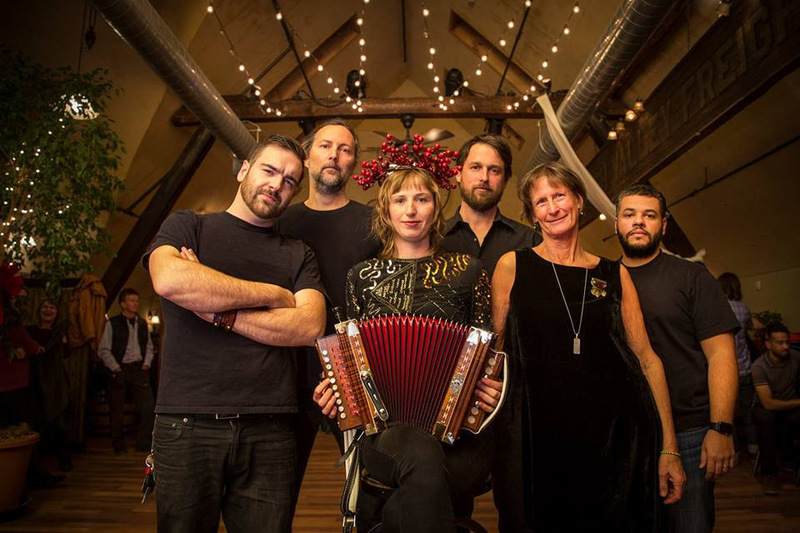 Please join us in a party featuring the music of the era including songs by Joni Mitchell, Laura Nyro, Dionne Warwick and Aretha Franklin in festive beer hall atmosphere of Flying Bison Brewery. The room sounds wonderful for jazz and there will surely be guests sitting in throughout the evening. 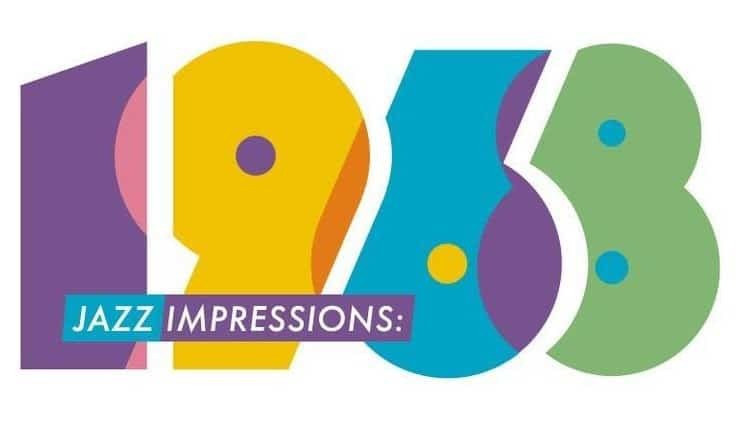 Featuring Bobby Militello, George Caldwell, John Bacon and Alex MacArthur performing songs of 1968 with special guests to celebrate the culmination of the Jazz Impressions: 1968 festival. 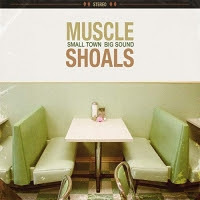 This series is made possible with support from the Sportsmen’s Americana Music Foundation, the Buffalo Jazz Collective, and the Cullen Foundation. Special thanks to the Burchfield-Penney Art Gallery, Hallwalls Contemporary Art Center, the Kenan Center, UB Music Department, Villa Maria College, the West Falls Center for the Arts and the Buffalo History Museum. Thirteen hundred and forty-five songs. 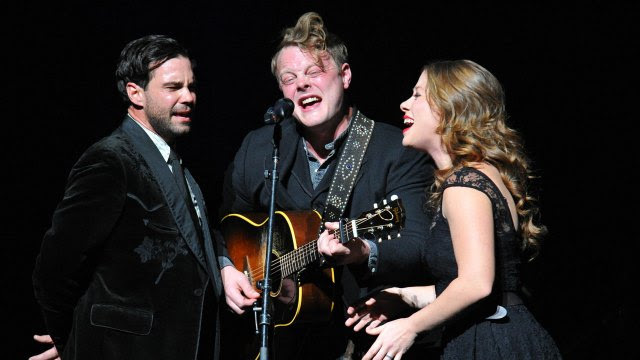 And they’re all from Western New York-related performers. That’s what you’ll find on Americanarama Buffalo. 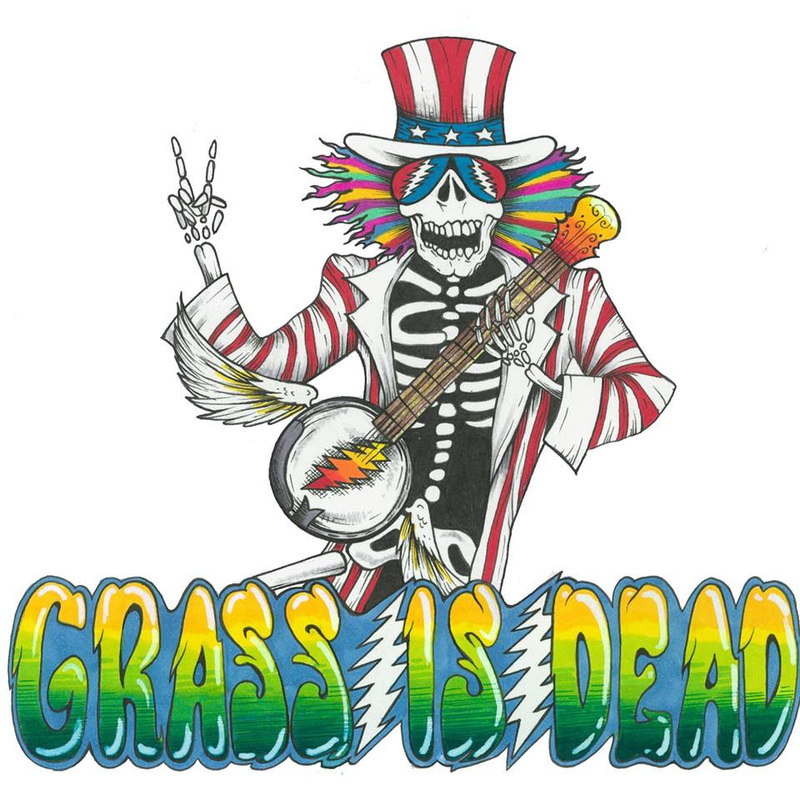 The online radio station has been running 24-7 for approximately 18 months now. It’s the only place you’re likely to hear Western New York stalwarts such as Allison Pipitone, the Skiffle Minstrels, Tom Stahl & the Dangerfields , the Steam Donkeys, Willie and Davey O. alongside newer acts like the Brothers Blue, Copper & Gin, David Michael Miller & the Others Sinners and Sara Elizabeth. 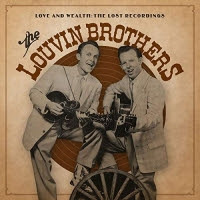 Then there are the vintage songs from the Stone Country Band, Raven, the Pine Dogs, the Jazzabels, the Thirds, Scott Carpenter & the Real McCoys and Ramblin’ Lou. 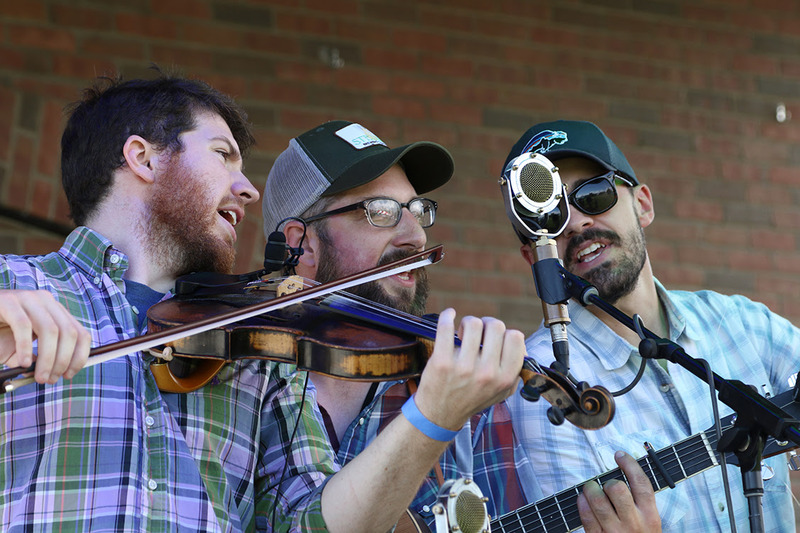 Out-of-towners on the playlist include artists with Buffalo roots such as Greg Klyma, Peter Case and Gurf Morlix. So how do you find it? You can go to https://www.radioking.com/radio/americanarama-buffalo or download the Radio King app for your phone and look for it under Country/Alternative Country. 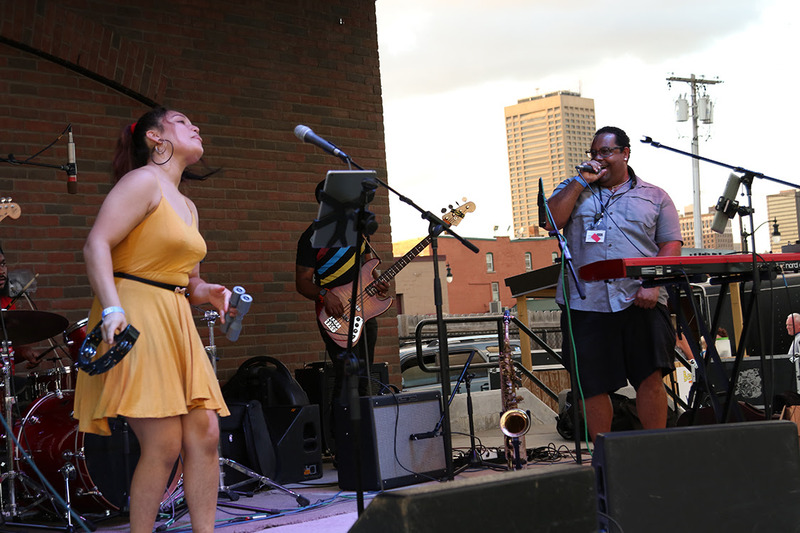 The station was created as a project of the Buffalo Music Hall of Fame, started with Kickstarter funding and also received funding from the Sportsmens Americana Music Foundation. Want to help? 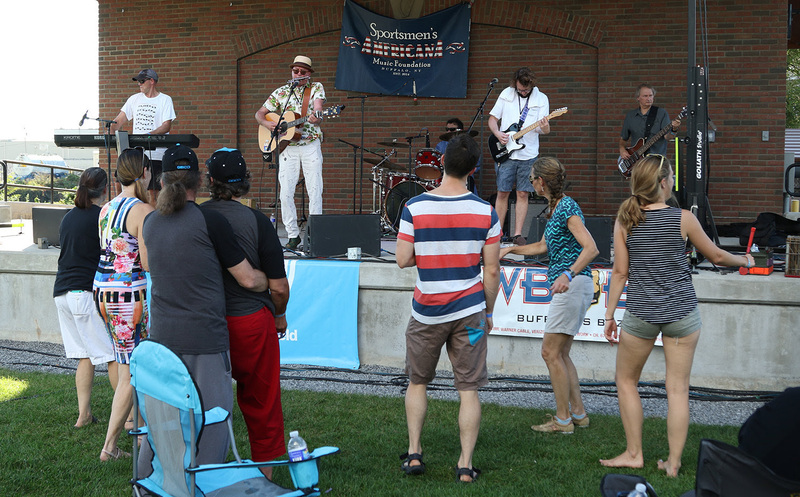 The station is set up to randomly play those 1,345 songs, but if you’re interested in hosting a show or recording a podcast focusing on Western New York and Americana music, contact SAMF board member Elmer Ploetz at ploetz@fredonia.edu. He can help you set up a show, even if you have no experience or gear. Same goes for if you would like to have your music considered for addition to the station. 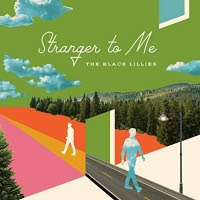 Get your music to Elmer to get it on the (digital) air!